Does God Exist Within Time? Post in Creation Day on August 19, 2015 by Taryn. Taryn is a mum of four, working through her Masters of Theology. She also has a Diploma of Biblical Studies (Biblical Studies), a Diploma of Arts (English Literature) and Bachelor of Theology and is a freelance writer and editor. What is time? As humans we are completely bound to it, and run our days according to it – clocks and watches are a part of every office, household, device and car in order to benchmark the passages of time as they pass. Working, sleeping, eating and children’s schooling are all subject to timeframes. Time is an inherent part of human existence, and of life lived every day. But, is time an inherent part of God’s existence? God’s relationship to time has been questioned, as far back as the time of Jesus, but has prompted a revival on the topic more recently, as science continues to develop stronger understandings of our universe, and the way that it functions within time and space. Was There Time Before Creation? Scientific research understands time as bound up with matter: when time exists, matter does, and vice versa. Genesis 1 tells us that before creation, the earth was “without form, and void”, or “empty”, so we know that before creation, matter did not exist. If time = matter, then time did not exist before God created the earth. According to the same theory, time could not have existed before creation, since no matter was present. For this reason, we can at least conclude that before creation, God was not subject to time. Time had no existence, no meaning, and thus, no relation to God before he created the earth. Many people take the position that since God appears to transcend time, he must be ‘atemporal,’ which means to ‘exist without relation to time’. The opposite of course, is to be ‘temporal,’ subject to time, which describes the state of the earth and humanity. Claiming God to be atemporal suggests that while time exists, God stands outside of it. There are two problems to this theory. The first problem with divine atemporality is that it relies on a linear, human understanding of time that is limited. Our understanding of time is relatively recent. It wasn’t until the late 19th century that time was standardised in order to streamline train departure and arrival times. Before this, different communities practiced time in a way that worked for them, and it wasn’t until around fifty years later that time was established universally. God has been working with time since the beginning. In our world, time is linear. It has a beginning, where time started, and then moves forward at a constant rate, in a constant direction. We are unable to go back or forward in time, but rather are restricted to riding the conveyor belt that we have been placed on. When we make claims that God is bigger than time or that God is timeless then we are attempting to understand God in terms that we understand. God is not on the conveyor belt – he does not have to live within the framework of time. While we have to remember things that happened in the past, and visualise things that may happen in our future, God experiences every moment at once. We live in a world that is limited by its own parameters. The important thing to note is that God is not limited by our understanding of time – he created time, and is not restrained by things that he creates. The second problem is that atemporality suggests that God is outside of time, and thus, is not fully in it. Though God is not bound by the physical laws and limitations of time that humans are, he is still within time. In order for someone to be truly outside of time, they would not be able to engage with the earth as God does, because the earth is so bound to time. However, we know from scripture that God actively engages with the earth and with humanity, in a way that is very much within the parameters of our time. This suggests that God is temporal. Time is first introduced in Genesis 1:5: “And God called the light Day, and the darkness he called Night. And the evening and the morning were the first day.” Since we see that God has established time here, shortly after beginning his creative process, we know that God was not previously subject to it. However, most of the biblical verses which address time seem to indicate that God is inside of time. 2 Peter 3:8 tells us that “With the Lord a day is like a thousand years, and a thousand years are like a day.” God does not operate according to our time frame, yet we continue to attempt to conform him to the time to which our human minds operate. Isaiah 57:15 claims that God “inhabits eternity”. If God inhabits eternity, then He sees all of eternity at once. Though humans inhabit the linear line of time, in which we are rooted on the conveyor belt, unable to move backward or forward at will, God lives within the entire spectrum of time. The best example of the way that God experiences time is in the DC Comics series “The Watchmen” created in the 1980s. The character known as “Doctor Manhattan” is the son of a watchmaker who becomes the victim of a scientific experiment after he accidently gets lost in the test chamber of his lab. After this incident, his experience of time is altered permanently, and he perceives the past, present and future as happening simultaneously. For Doctor Manhattan, time does not happen in a chronological order, or in a linear line. After his transformation, he experiences all the moments in his life at once. This is the non-linear way in which God exists. He is outside of the earthly sphere of time. The way that we experience time passing has no bearing on God’s existence. However, He is still very much within time. God is temporal, but he is more than that. He is Omni temporal – present in every moment of time. He exists in a single, timeless present . How Can God Have Always Existed? Scripture reveals that God exists “From everlasting to everlasting” (Psalm 90:2), so we know that God always has been and always will be. This divine eternity can be an extremely challenging thought for those trying to understand how God has always been, but this is made difficult, once again, by our limited understanding. Because humans are born, and die, we frame our lives with a beginning and an end, and this is how we understand the world, and life. God was not born, and will never die. However, just because we cannot understand the concept of God as both inside, and outside of time, does not conclude that God cannot be both. God never came into existence, and will never go out of existence. He is the Alpha and the Omega (the beginning and the end), but he is also without beginning and end. Because he exists every moment in time, and time has no end for God, His Omni temporality is also without beginning and end. God endures for all time. How Can God Be Within Time? Some will argue that God cannot be temporal in any way, suggesting that if God exists within time, then he must be subject to the laws of relativity which govern space and time. If this is the case, and he is in fact, bound by the laws of nature, then he cannot be omnipotent. The solution to this is quite simple: God established time. Before he did this, time was not a reality. He was not bound by time, and continues to be outside of it, because he is the creator of it. However, though he is outside of its framework, he is still present in time. Time was instituted in order for the world to function. God is Omni temporal – he exists without the limitations of time, but is existent and present in every moment. 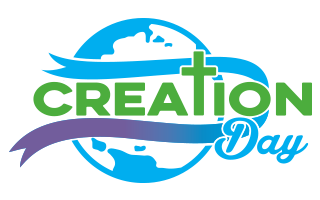 To honour God’s creation, be sure to sign the petition to establish Creation Day as an official holiday! "For thus saith the LORD that created the heavens; God himself that formed the earth and made it; he hath established it, he created it not in vain, he formed it to be inhabited: I am the LORD; and there is none else. "